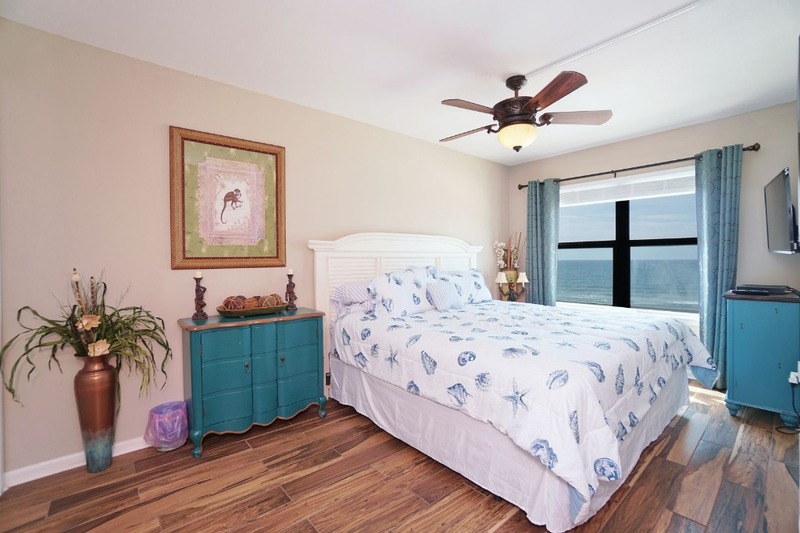 SLICE OF HEAVEN ISLAND SUNRISE - BEACHFRONT VIEWS - LUXURY 2/2 PENTHOUSE LEVEL CONDO without Luxury Pricing! 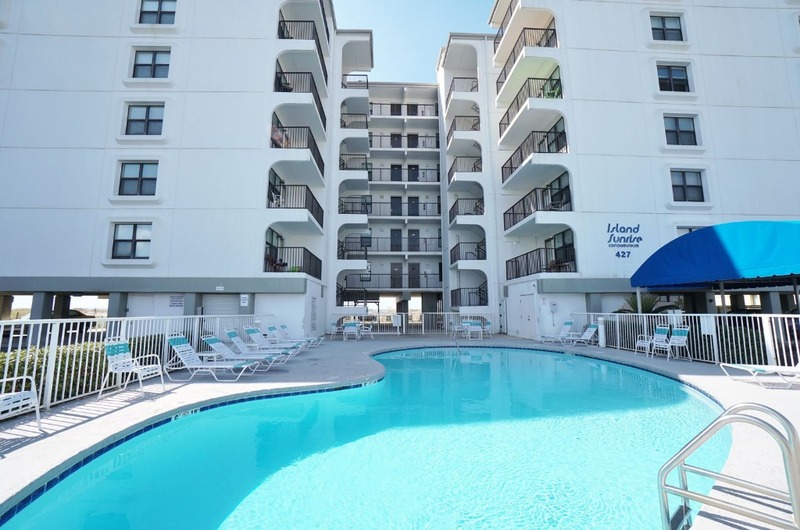 This is one of the nicest 2/2 condos that you will find in Gulf Shores with its sugar white sands! Owner is local and wants to earn your return business who provides surprise 'extras.' LOCATION is PERFECT! 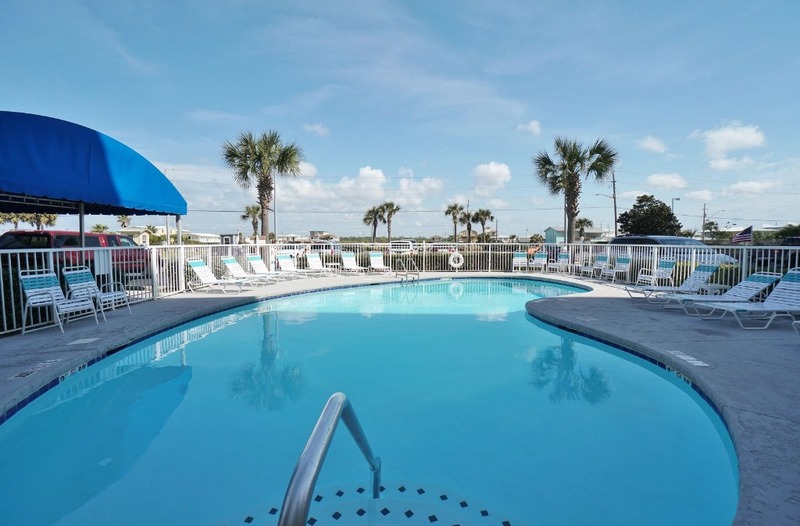 Island Sunrise is a 2 minute walk to waterfront dining and easy 10 minute walk to Hang Out Entertainment with lots of activities, Shrimp Fest, Music Fest and more! In October catch the Shrimp Festival with great local cuisine and artists galore and fun music! 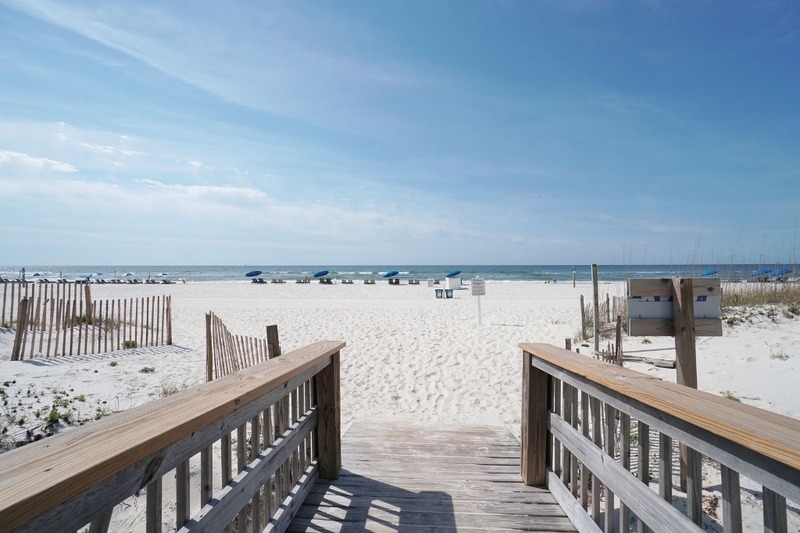 You can walk to it from our condo! 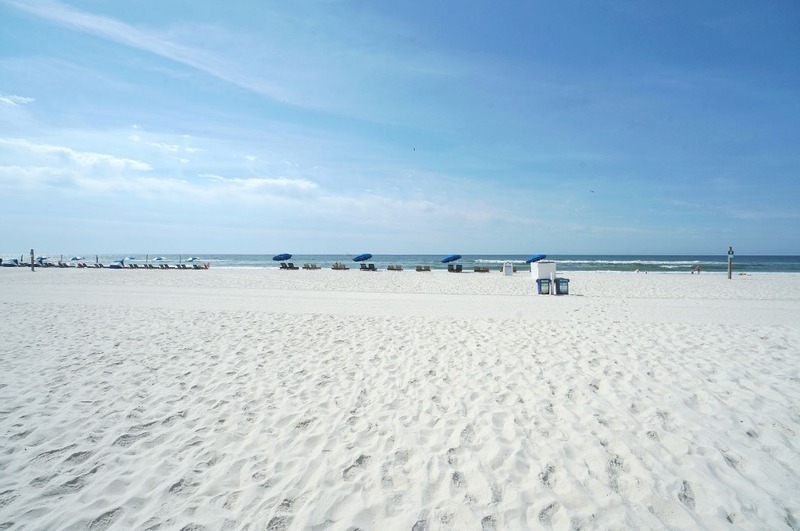 Also Come enjoy the beach at the PERFECT time of year when the water is still warm but the weather is so nice! 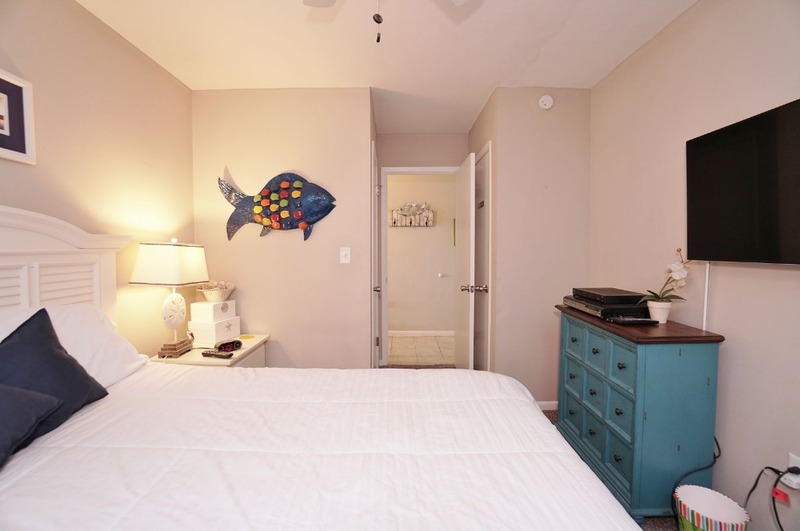 You'll love the convenience of the super short walk to the beach! 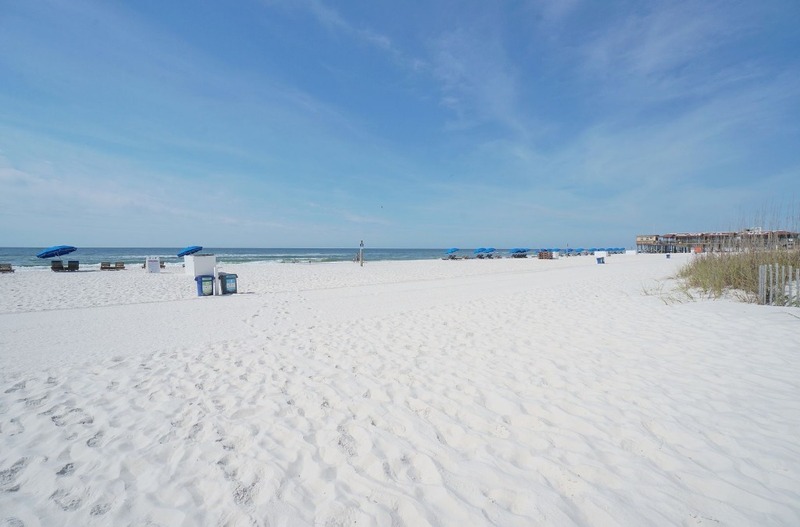 Use the owner provided umbrella and beach chair or rent your own. 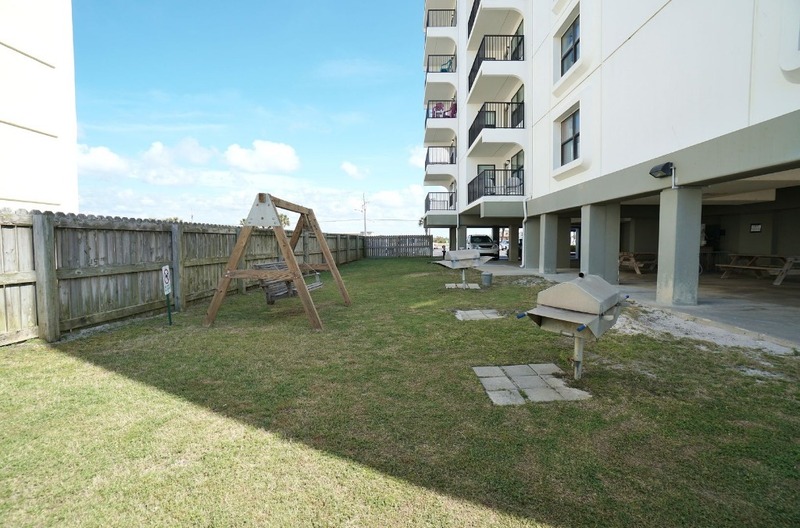 Complex has grilling area, plenty of entertaining space under building including patio swings! AC in lobby. Water sport rentals and activities are nearby. 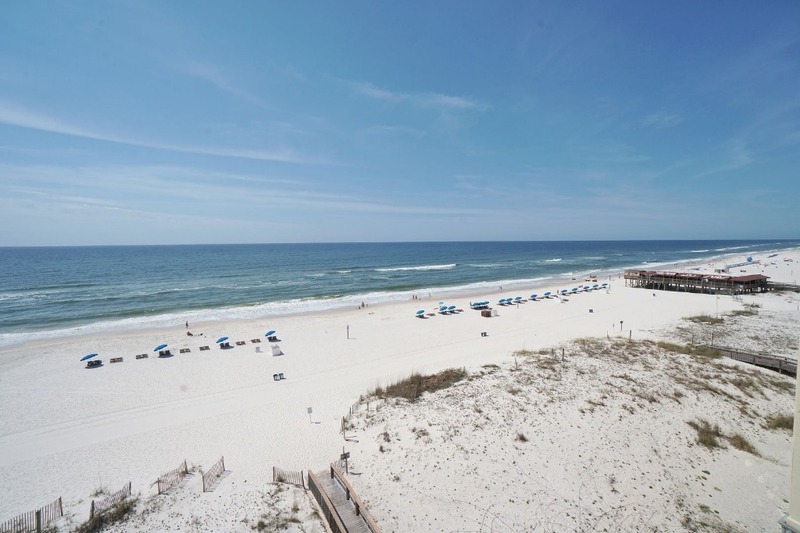 1500 ft. fishing pier is within walking distance too! 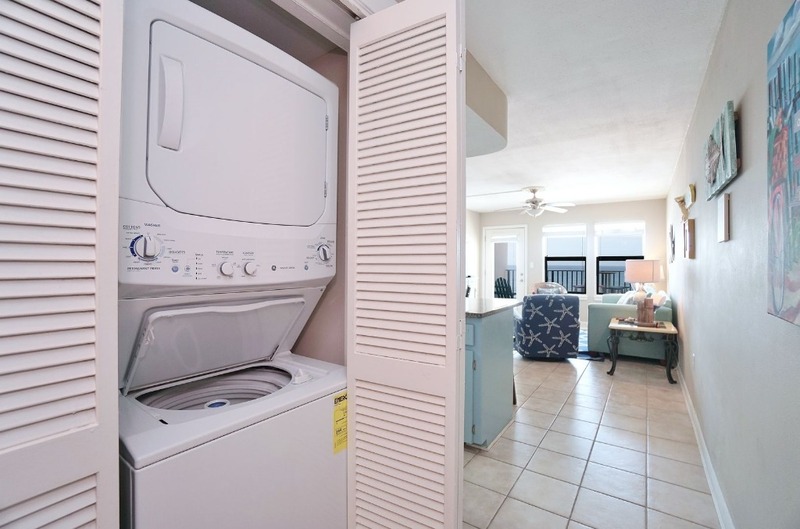 Unit has all that you will need to make your stay very comfortable. Info provided for local restaurants and activities. 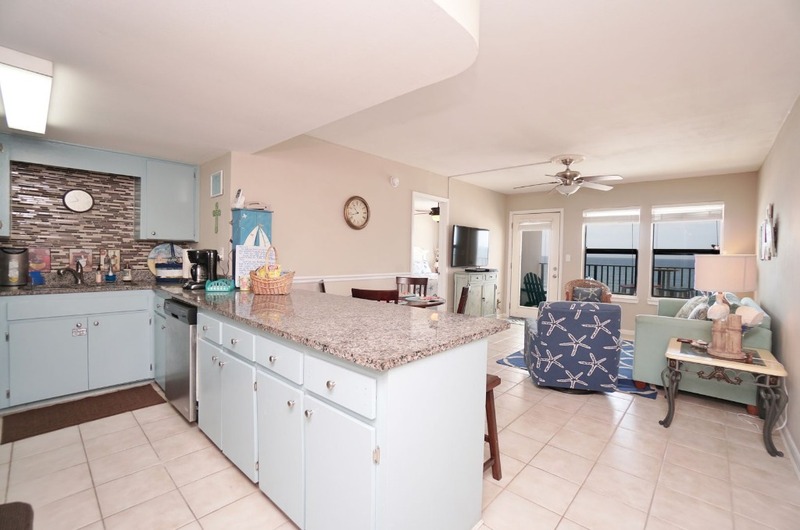 CHECK OUT OUR OTHER CONDO NEXT DOOR ALAVHR ID # 233 "SLICE OF HEAVEN TOO!! TOGETHER 2 CONDOS SLEEP 16!!! If you are interested in purchasing this condo please inquire further. 1-2 "free" parking passes (owner picks up Coastline Managements $40 charge 4 2 passes. 2nd one made available IF/WHEN REQUESTED! The Nelsons have a really nice condo. 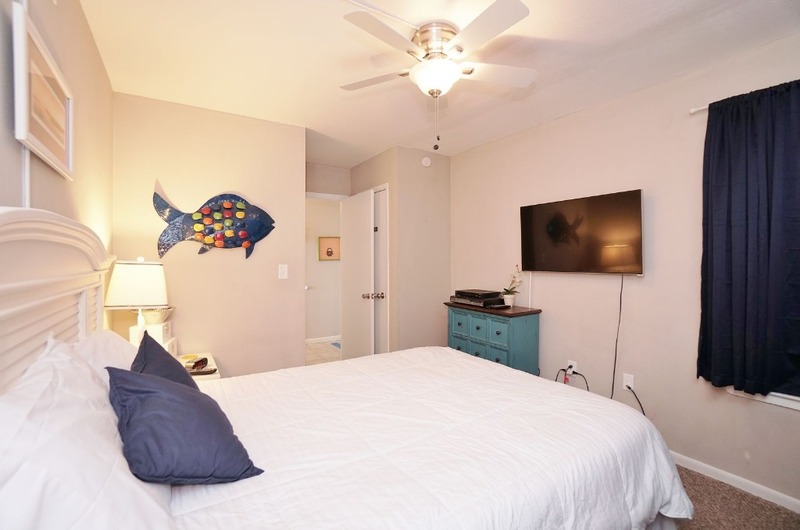 As a family of 5, this two bedroom, 2 bath condo was just right. Even though it was rainy, we still spent a lot of time on the balcony. Great location. 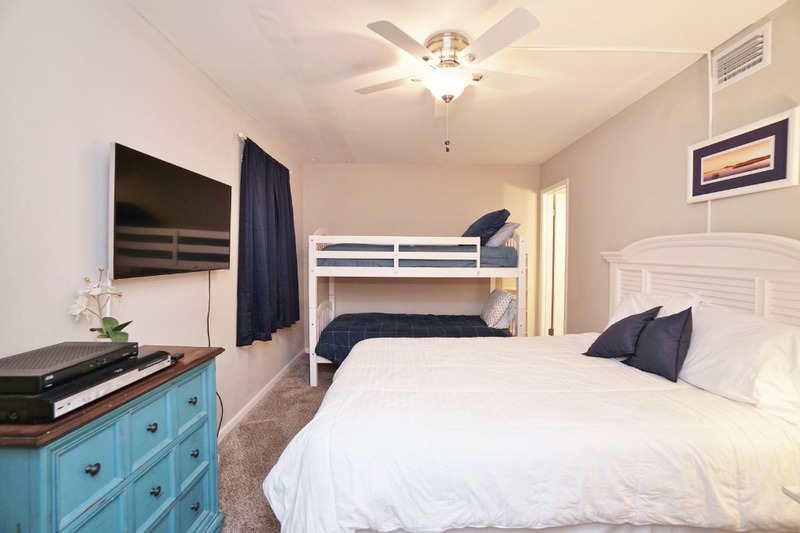 Decor is really nice, very welcoming, very clean, comfortable beds too. Kitchen is stocked with pretty much everything you need to cook a great meal. But there are so many good restaurants nearby too. 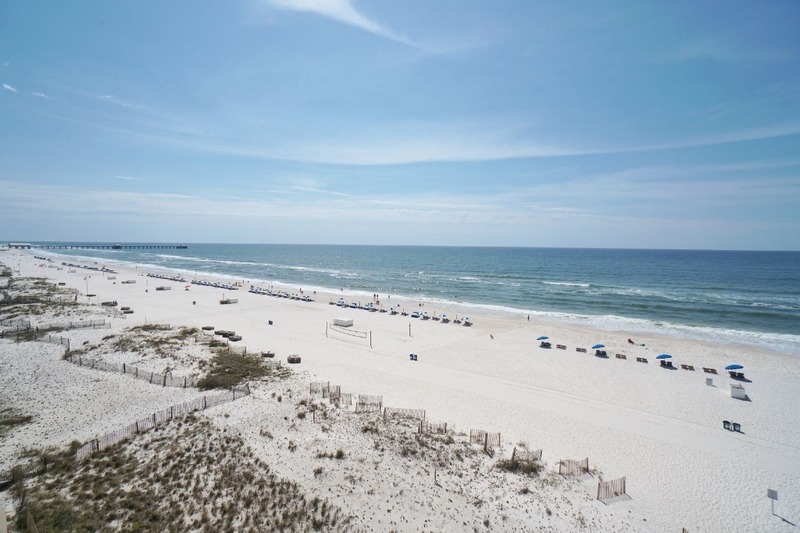 We plan to come back.We love Gulf Shores. 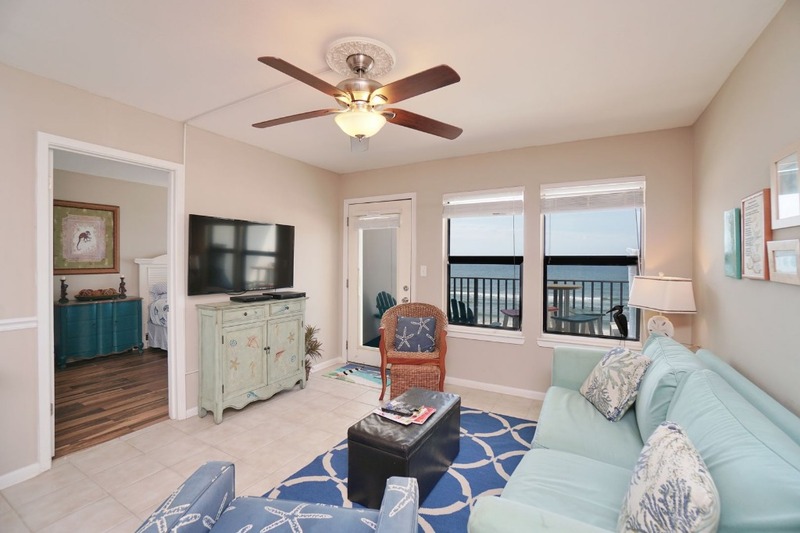 Amazing condo right on the beach! Our family LOVED the condo! Everything was clean, and beautiful. 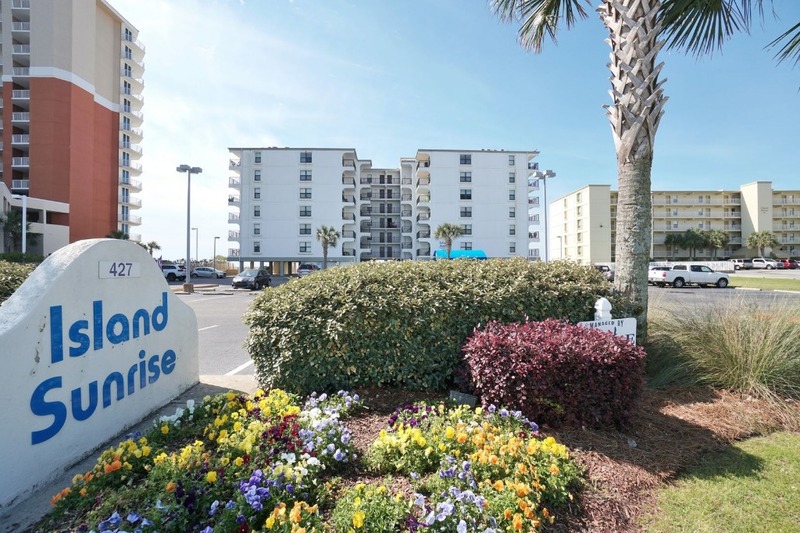 The building is just steps away from the beach, and close to restaurants. Thanks for providing such a beautiful place to stay. We stayed in this condo, as well as the one next door and it was the perfect getaway for our family. 5 adults and 3 kids were super comfortable between the two places and we were able to make some fantastic memories as a family! I highly recommend this place and the owner is absolutely FANTASTIC to work with! Loved the views, location, charm and finishings. Highly recommended. Jennifer was a great host--when we arrived there were snacks and everything was very clean. She has a great binder full of wonderful restaurants and things to do. We went to Bills by the Beach and loved it! 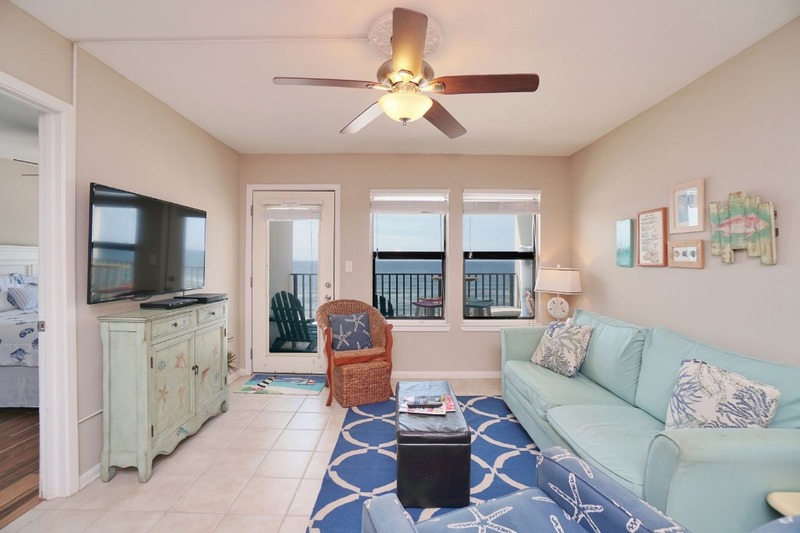 The condo itself is in such a great location and has a gorgeous view of the ocean. There were plenty of towels and the beds were very comfortable. My girlfriends and I had such a great girls trip and are definitely hoping to come back! THE BEST CONDO IVE EVER STAYED AT! 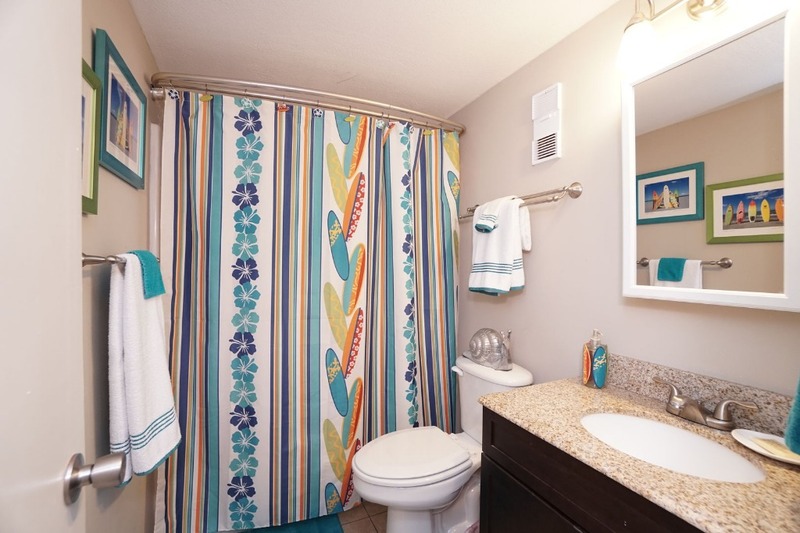 This condo has so many EXTRA things that you might need! Jennifer goes over and beyond to make your stay special!  Very clean, GREAT location, I would recommend it to anyone. 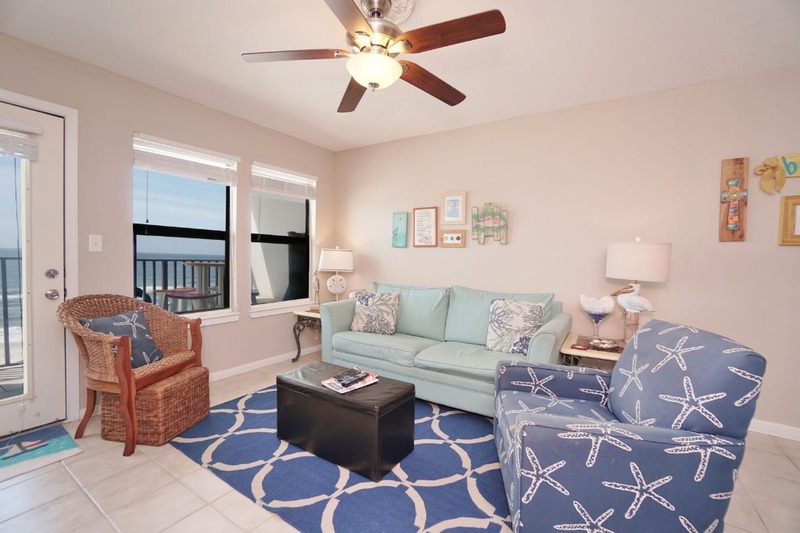 What a beautiful condo right on the beach. We opened up the back door and could feel the breeze day and night. 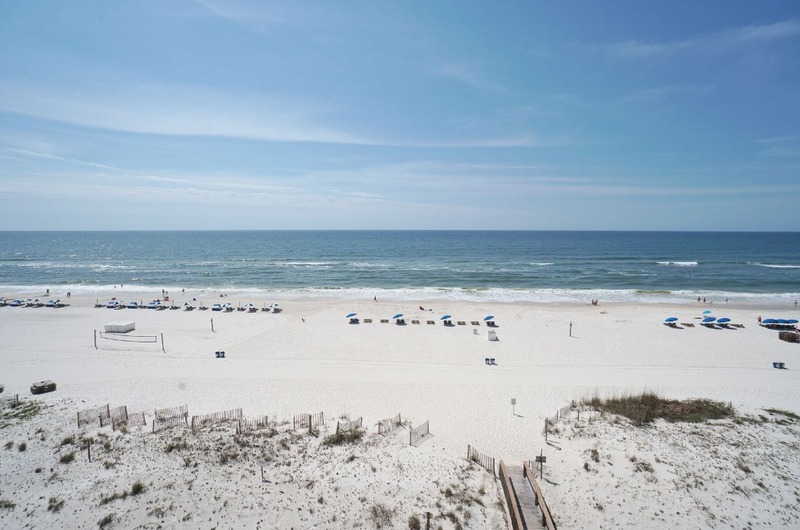 Perfect time to visit gulf shores. Not very crowded and the weather was amazing. The condo was a perfect fit for our family of 4 (2 teenagers). The welcome basket was a lovely touch and the condo was fully equipped with everything we needed. Owner was wonderful to work with and we plan on making this a yearly trip! 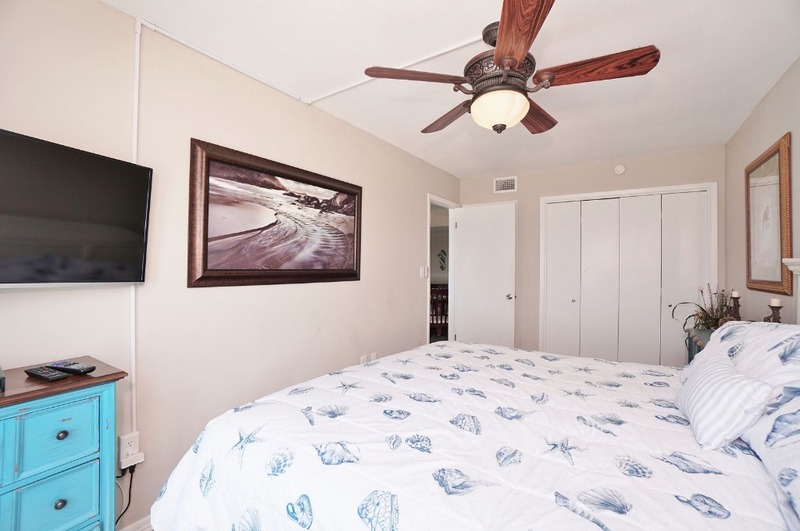 My husband and I were looking for a romantic beach vacation. 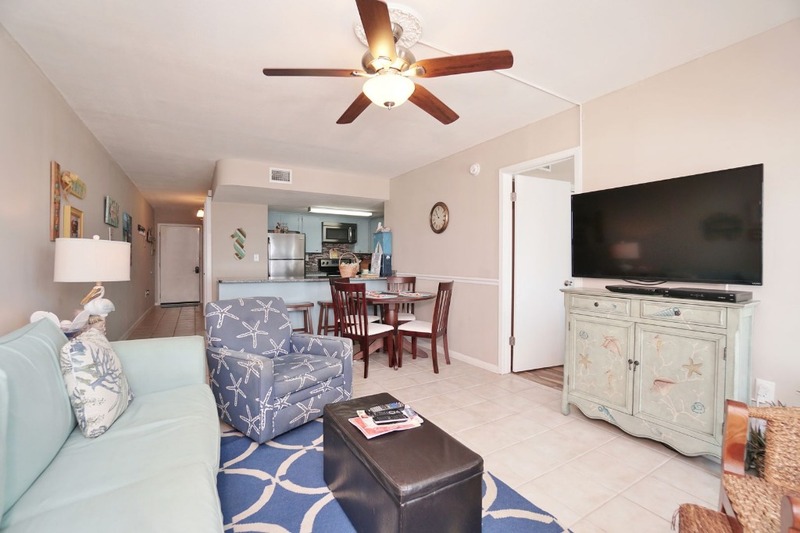 This condo did not disappoint! 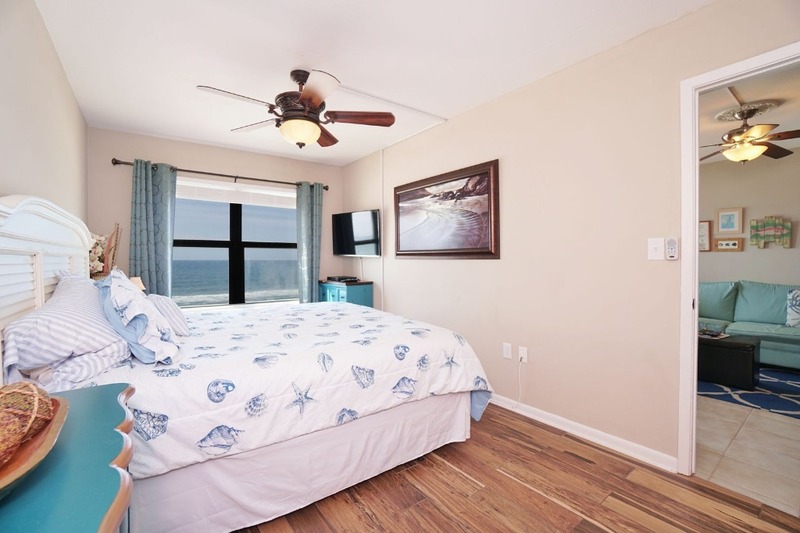 We arrived to a clean unit, comfortable king size bed with a view of the beach. Exactly what we were looking for! Great restaurants, the folks we met in the building were all friendly. I had two minor issues, texted Jennifer who responded immediately. She talked me through one issue and had maintenance work on the other immediately. I was very impressed! We will be coming back!! Plenty of space to bring another couple next time! We added to the pantry and the basket for the next guests. Enjoy!! We had a fabulous family vacation at Ms. Nelson's 'slice of heaven'!! 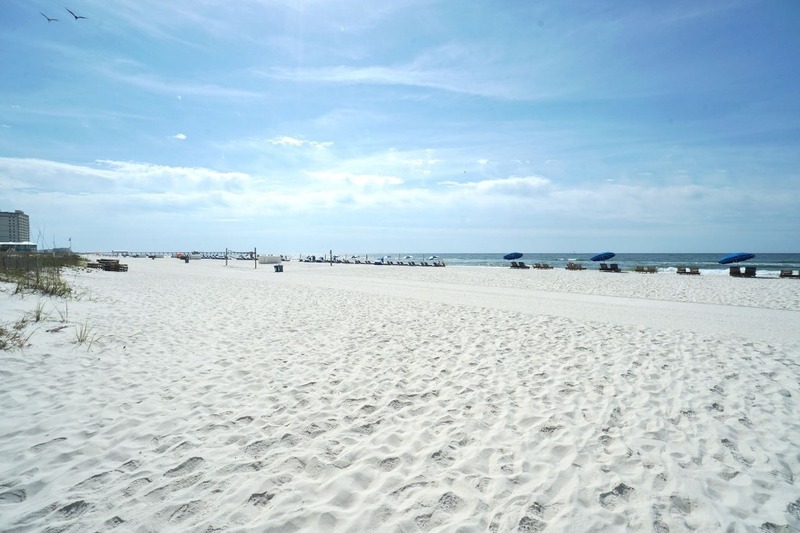 It was our first visit to Gulf Shores, and it won't be our last. The condo had everything we needed to make ourselves at home. And the beach was amazing! Thanks for sharing your "Little Slice of Heaven" with our family. 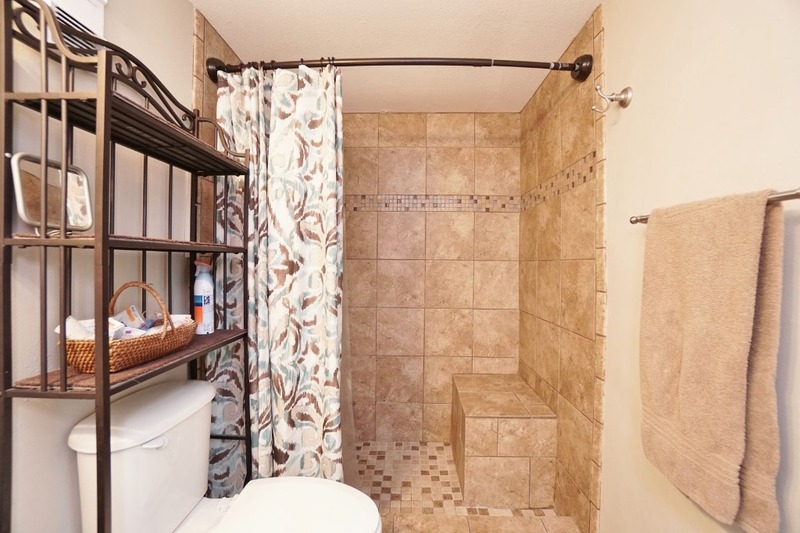 We loved the family feel & convenience of the property. 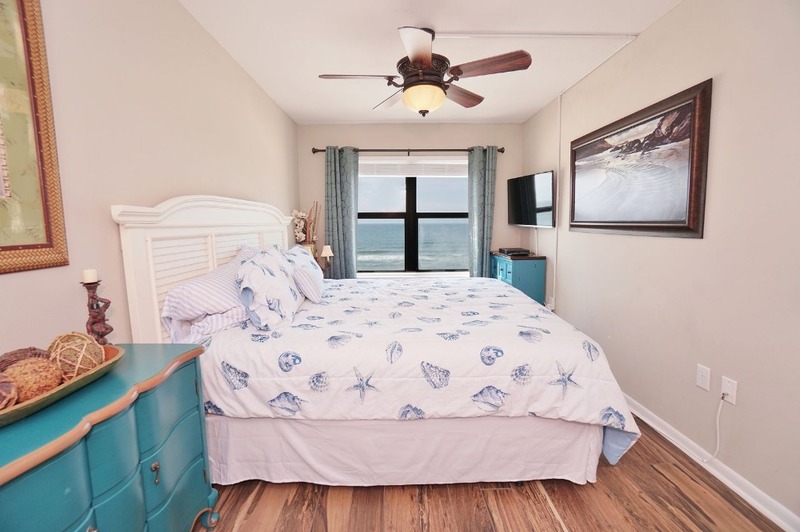 Very charming layout with a wonderful ocean view!